HaganaH is a Hebrew word meaning "defence." 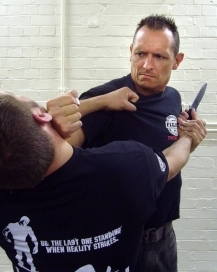 The Haganah system is far from being an ordinary Martial Art; it is the new wave of the future in hand-to-hand combat and street fighting methodologies. It incorporates both unarmed and armed fighting methods. One of the most important features of the HaganaH system is that, unlike many traditional martial arts systems, it is continuously enhanced. Additionally, the system is constantly evaluating other methodologies such as those used by the various U.S. Special Forces to add in any of their techniques, which would strengthen the system. There is no ego in the HaganaH system. 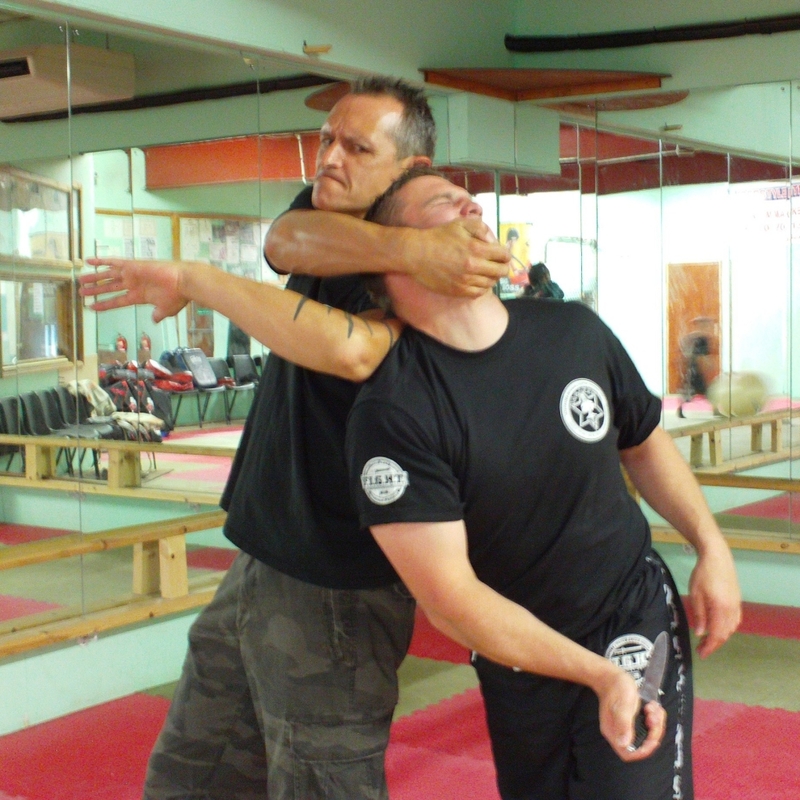 It uses the best of the best in self-defence and combat methodologies. The F.I.G.H.T. program encompasses the hand-to-hand and empty hand weapons defence components of the HaganaH system. 1. Avoid getting hit. Techniques will always have an element that minimizes the danger of you being hit, especially in your vulnerable areas. 2. Don't be fancy. Techniques are simple and do not conflict with natural or instinctive body movements. 3. Defend yourself in the quickest, safest and most effective way. Most techniques include both defensive and offensive elements designed to protect you while inflicting maximum possible damage to your opponent to end the conflict quickly. 4. Use the opponent’s vulnerable and weak points. Techniques are designed to exploit the many other not so obvious weak points on the human body. 5. Don't rely on strength. Techniques are designed to minimize your effort, enabling you to work effectively even when at a size, strength or position disadvantage. 6. Use available objects as weapons. The system is designed to teach you to effectively use improvised and ordinary weapons. 7. If forced to fight, no rules, no limits. If diplomacy fails, no hesitation, no holding back - anything goes. Unlike many other systems which teach according to a belt level curriculum, adding techniques according to the rank level and seniority of the student, HaganaH trains it's practitioners in a military version/format. At its core, there are two sets of the 18 most common street attack scenarios to work from. The first set of 18 counterattacks consists of empty hand strategies addressing unarmed assailants and the second set of 18 counterattacks consists of armed threat self-defence strategies addressing knife threats and attacks at gunpoint. Training is conducted in parallel in a 3 - 4 month rotational system. 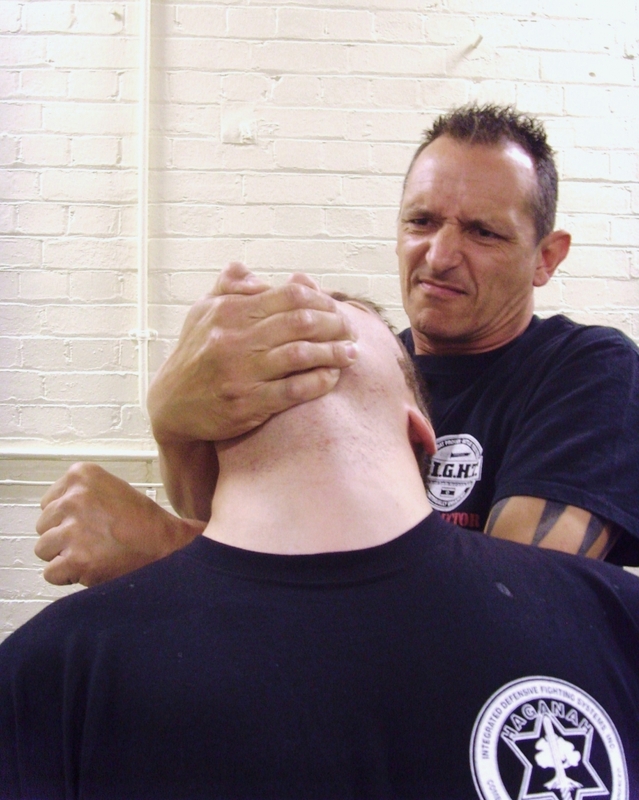 This method has proven very effective as a tool to train people quickly to be able to deploy the HaganaH system in combative situations upon completing only a few months training. Practitioners are exposed to the entire core system in that time. You learn and are trained in what would have been reserved as advanced material in other more traditionally structured systems. Once you have a good foundation and have completed several rotations, you then begin training in the armed self-defence components of HaganaH. These components include Israeli Tactical Knife Fighting (ITK), Israeli Combat Shooting (ICS) and Ground Survival. Together with F.I.G.H.T. these make up the cornerstones of the system. HaganaH’s ethos is that since knife & gun use is now commonplace in most societies, learning to defend against such weapons is simply not enough. An operator must having a good working understanding of these weapons and where necessary, be able to deploy & use them competently, in a stressful environment, if they are to have the best possible chance of surviving a violent encounter. All techniques in the HaganaH system lead practitioners to one of three points of reference (destination points) with three objective options- restraint, incapacitation, or termination. By limiting the variety of combat strategies, learning time is accelerated and depth of understanding and skill levels are increased. Practitioners become adept at quickly reading and reacting to attacks and if necessary improvising to achieve these few points of reference. Once achieved, Practitioners feel very confident and comfortable that, even though the engagement may not be over, it is theirs to win. Although common attack scenarios are covered in HaganaH, is not a scenario-based system per se. It focuses on achieving certain common objectives in virtually all scenarios, thereby making it easier to learn and more immediately effective than many systems. Unlike many other self-defence systems, HaganaH does not use a hierarchical belt system where it can take years to learn the most effective advanced material. It uses a rotation system where substantially all hand-to-hand combat material is presented within three to four months. Subsequent rotations then gradually build a practitioners core competence in the actual skills and attributes they will need to survive a violent encounter.